Christmas is a splendid time of year in Australia. December and January are at the very height of our beach season, and we love to head for the beach and relax. The Christmas holidays stretch over the longest days of our long summers. Christmas cards almost always show scenes in the snow. In Australia, Christmas falls in Summer. More than that, it falls smack bang in the middle of the holidays when most of us seem to be on a beach somewhere. My earliest childhood memories of Christmas are of sand - sand in my hair, in my sandals and in my tomato sandwiches. Snow has rarely fallen at Christmas though we have experienced all the seasonal quirks of Summer Downunder, the electrical storms, floods, hailstorms, cyclones and terrible bushfires. Those fires have been part of the Australian landscape for millions of years, indeed, some of our flora and fauna depend upon it, but climate change has brought more, and fiercer, firestorms. Keep your hat on Depending on where you are in Australia, daily temperatures range from 25-45 degrees celsius (77 to 113 fahrenheit) on the mainland while Tasmania, in the far south, is always slightly cooler. I'd like to tell you that we are the first to celebrate Christmas, but that would be a fib, and I don't want Santa to put me on his Naughty List. Not in Australia? Then you'll just have to wait another day. Merry Christmas! While people in the northern hemisphere are decorating fir trees and decking their halls with boughs of holly, here in Australia we have the bright and beautiful Christmas Bush, Ceratopetalum gummiferum. This lovely shrub has white star-like flowers in late spring followed by beautiful reddened, swollen calyces in summer, just in time for Christmas. You can decorate your whole house with Christmas Bush. If it doesn't grow in the backyard, a neighbour is sure to have some and, at the florist, bunches are cheap enough to buy in armfuls. As you can see by the photo above, the Christmas Bush is a wonderful vision of red. Flowers are always a special feature of Australian Christmas decorations. There's a perfect and popular summer plant we call Christmas Bells, the Blandfordia nobilis with funnel shaped petals. It's a type of lily, with delicate red flowers ending in golden tips, the colours of Christmastime. 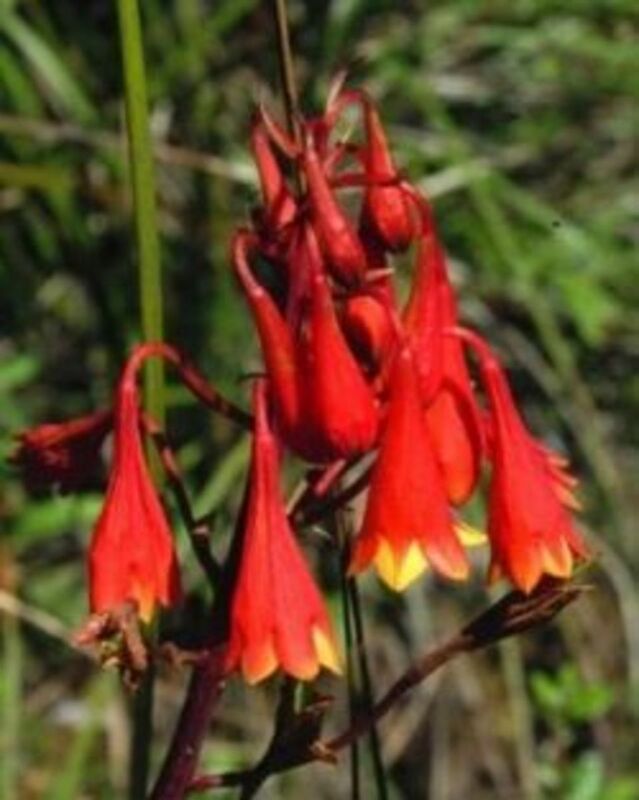 These Christmas Bells grow wild in the sandstone country of New South Wales and in the mountains. One year they grew for me. The photo is from my garden in 2007, one lucky year for my lilies. With Christmas Bells in your house alongside of nasturtiums, wisteria, and honeysuckle bloom, you don't need much more in the way of Christmas decorations. Who needs the fir trees? Why bother with the fir tree made popular by Prince Albert, the husband of Queen Victoria? 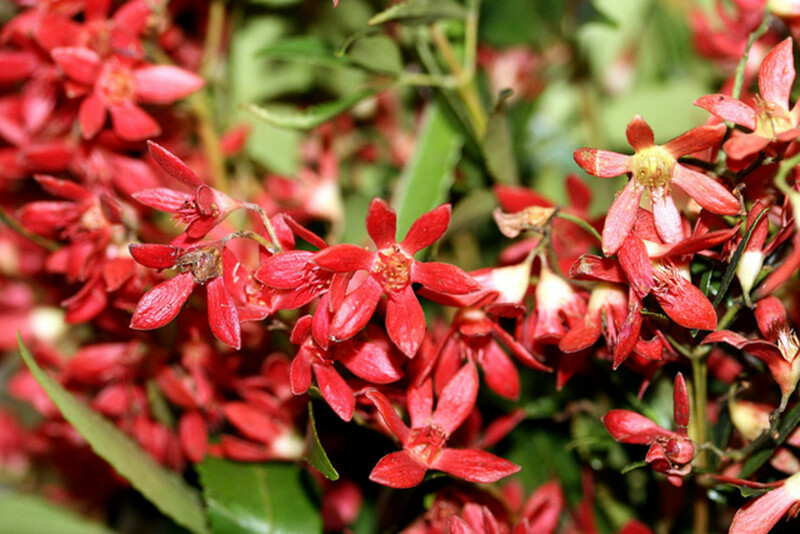 We have beautiful red and gold native plants for the festive season. 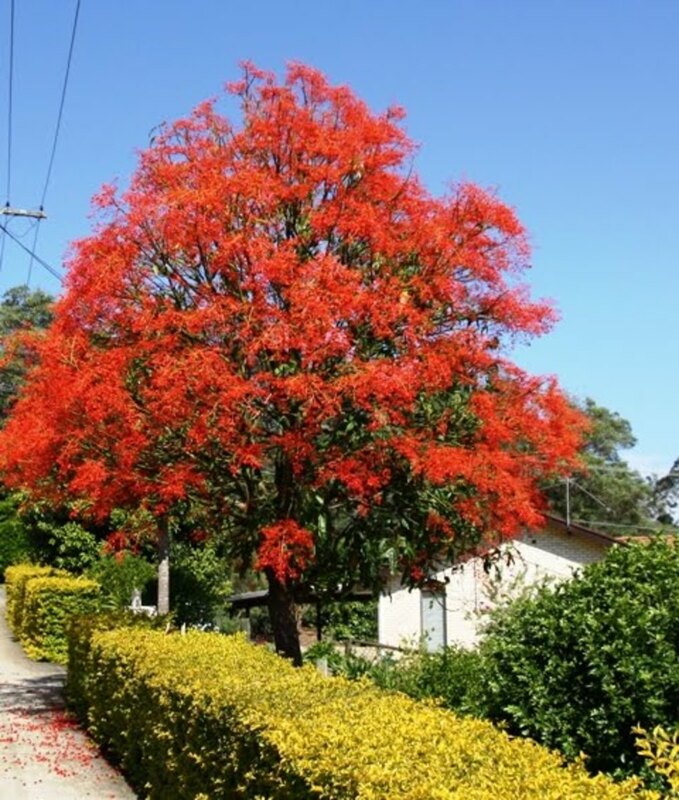 Further north from me, Christmastime brings out the brilliant scarlets in the Illawarra Flame Tree while, in the west, the predominant colour is gold. This lovely example of our native flora is the parasitic Nuytsia floribunda, bursting with brilliant yellow flowers, to greet both Summer and Christmas. 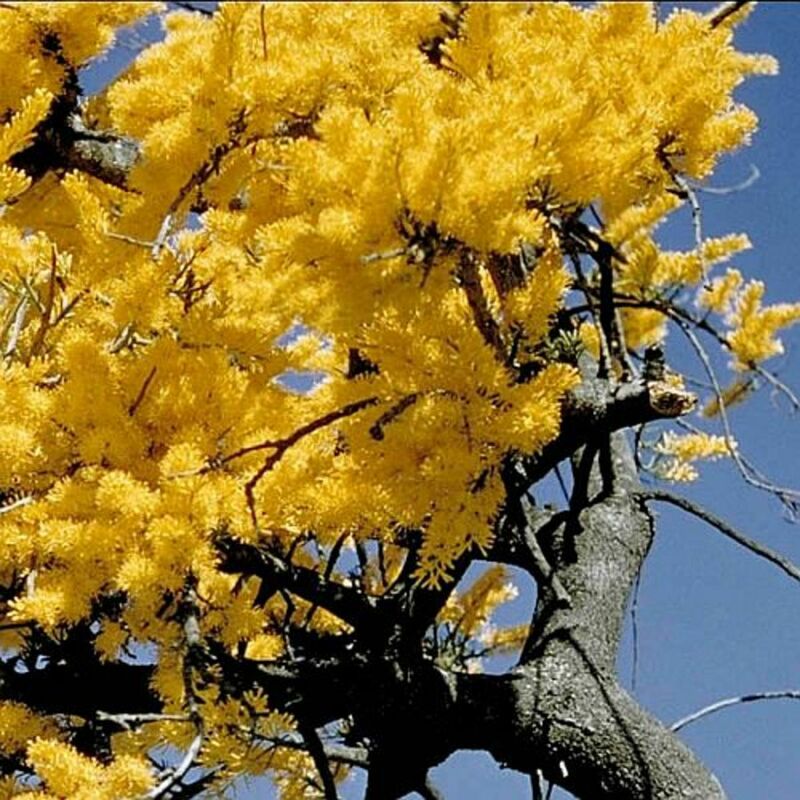 We call this the West Australian Christmas tree, and the golden blossoms are an absolute delight to see. We have three choices for Christmas Dinner. One choice is to get out of bed on Christmas morning, as our grandmothers did, and start preparations at 4.00 am before it gets too hot to have the oven on. We have five hours at most before the heat drives us out of the kitchen and, sometimes, if it's going be to a scorcher of a day, we can only cook for three hours. A second choice is to have a barbecue. Toss a few salads together and throw some prawns on the barbie. Or we could pack a picnic lunch and head for the nearest beach. Seeing as most of us live along the coastline, there are picnics and parties galore. As our society now reflects the influence of migrants from around the world, food can vary. But nearly all of us celebrate Christmas by giving gifts and preparing special meals to share with friends and family. When it's 40 degrees (104F) or more, eating a hot meal, much less cooking one, isn't any fun believe me. Instead we have cold meats such as ham, corned beef, chicken, turkey and duck and all sorts of seafood like oysters, squid, crayfish, prawns, salmon and morwong. Fruit is especially abundant this time of year and we get stuck into pineapples, mangoes, pawpaws, rockmelons, watermelons, plums, apricots and peaches. We enjoy more exotic fruit too, lychees, jackfruit, mangosteen and the incredible durian. 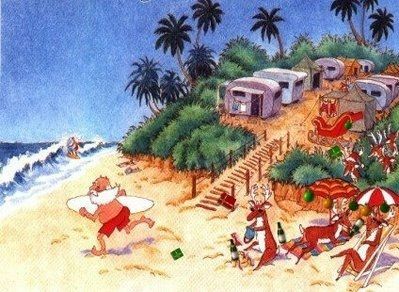 Once upon a time, Christmas Lunch on the beach meant packing cold chicken, tomatoes, watermelon and lemonade in the Esky and laying a couple of rugs and beachtowels on the sand. These days, it's a more complicated ritual. The modern Christmas Lunch a la plage consists of toting at least one portable barbecue, one esky for the prawns and salad, and another for the grog, pavlova and sunblock. No one has ginger beer in their esky these days, it's all local wines now, sauvignon blanc, chardonnay or a sparkling pinot noir. You need shade all the time in Australia and little villages of mini tents spring up all over the beach with barbecues and gas bottles everywhere. The image of Santa with his surfboard, from an old postcard, brings instant memories to me of many a Christmastime spent camping in the ti-trees by the beach. The old-style caravans and tents, the singlets on the line and the wooden steps leading down to the sand are just like my childhood holidays - minus the reindeer of course. Camping by the beach, or staying at one of the numerous caravan parks along the rivers, is still a popular budget holiday for families. Bondi Beach in Sydney is a popular spot all year round, and especially so at Christmas. It's a very little beach, just half a mile of sand, and when you have 40,000 people turn up on Christmas Day it's all one big party. There's no room to play a game of cricket on the beach on Christmas Day. It's traditional for international visitors who happen to be in Sydney at Christmas time to go to Bondi Beach. Backpackers in particular swarm over the sands. If you're thinking of coming along, remember Bondi Beach is an alcohol free zone. While in the cold northern hemisphere rugged-up choirs may ring bells and sing on street corners, we take our rugs out into the warm summer night and watch performers lead Carol-singing from a stage. Carols By Candlelight is a big event of the Christmas season. Families and friends get together and celebrate the spirit of Christmas in open air venues. And we all sing! This Christmas Eve tradition attracts a huge crowd at the Sidney Myer Music Bowl in Melbourne while many more Melbournians join in at various 'live sites' where the festivities are broadcast on the big screen. The extravaganza is also enjoyed by millions of people across the continent through live telecasts. Christmas Eve wouldn't be Christmas Eve without our Carols by Candlelight. 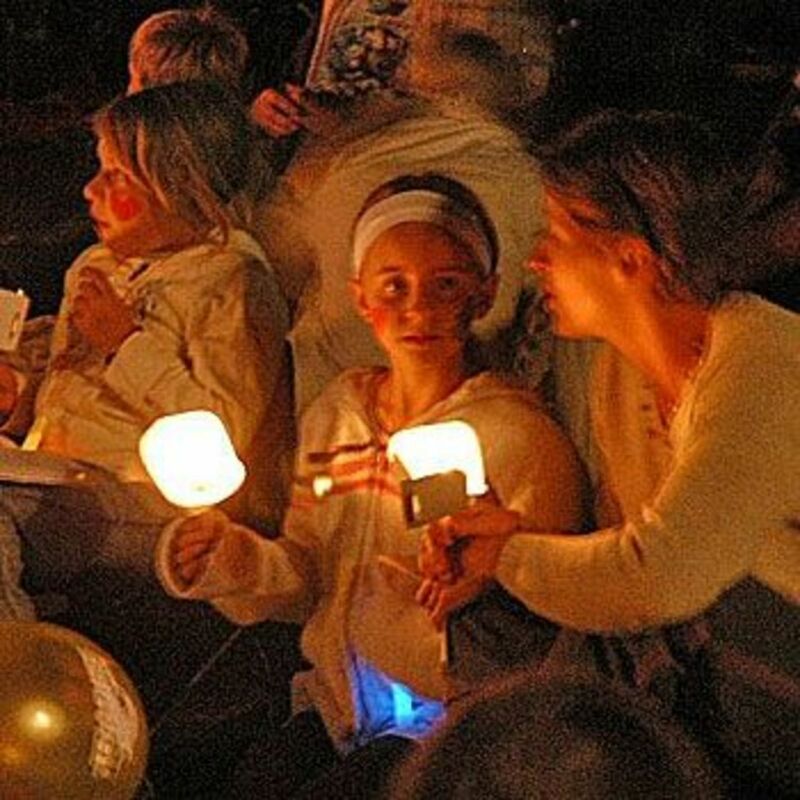 The holidays bring the tinny sound of Christmas Carols broadcasting incessantly to the shopping centre, but also the wonderful open-air Carols by Candlelight. This is when thousands of families take a picnic rug and a cardigan to attend a big sing-along on Christmas Eve in Melbourne. But there is still the sound of Christmas Past, the crackling of cellophane behind closed doors, the click of bat on ball from the children playing cricket in the park and, everywhere, the ceaseless buzz of the cicadas. Yabbies are best treated simply to keep the delicate taste and texture. Put the yabbies in a deep bowl in the freezer for 1 hour. Boil a large pot of salted water, add yabbies, cook for 5 minutes. Drain and refresh in cold water to stop the cooking process. Twist off the head, cut through the centre of the underside of the tail and gently peel the shell away from the meat. Remove the dark intestine. Combine dressing ingredients in a screwtop jar. Shake well. Place the salad leaves in a large serving bowl. Add avocado and yabbies, pour dressing over. This recipe is from Like Grandma Used To Make and almost like my own Nanna made. She didn't use avocados. From 1965 in Tested Recipes from the Australian Country Women's Association. Chop the fruit and peel coarsely. Put everything except the cophra into a bowl and mix together.. Warm copha gently until melted, and pour over ingredients. 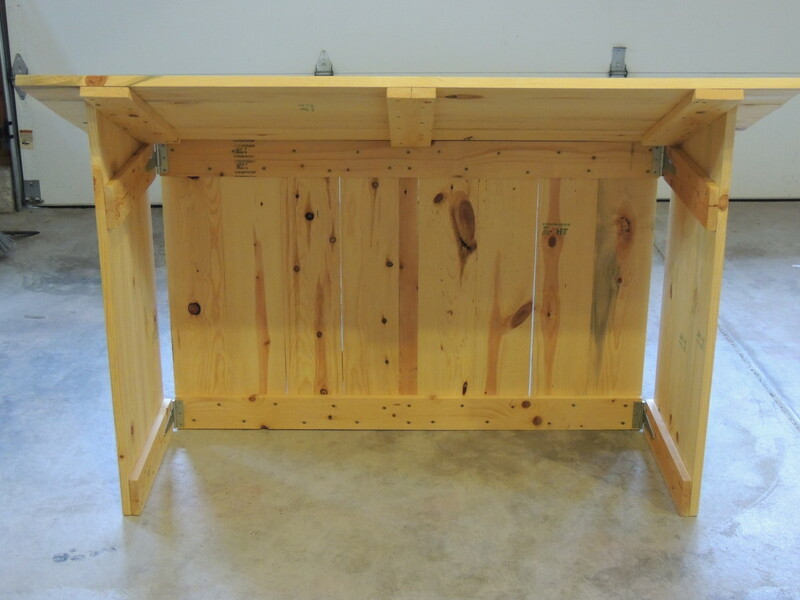 Mix well and place in an airtight container and set in fridge. Serve sliced into fingers. One thing you must have for Christmas is The Great Australian Pavlova . A little Soft Toy Wombat friend from Australia. She's much happier in cooler weather and a real snuggler, very lifelike and a wonderful addition to any collection of international animal toys. No Christmas can go by without a visit to the Myer Store to look at the windows. In Melbourne, this is a local tradition of truly legendary proportions. We started doing this in 1956 - a big year for Melbourne, when television arrived and we hosted the Olympic Games. Every Christmas since then, the windows have featured a creative display with a different theme each year. The unveiling of the windows is an event in itself. Crowds gather before time (it's not just children who are entranced), television crews set up their equipment, and as the heavy curtains are pulled back, the collective oooh! can be heard blocks away. 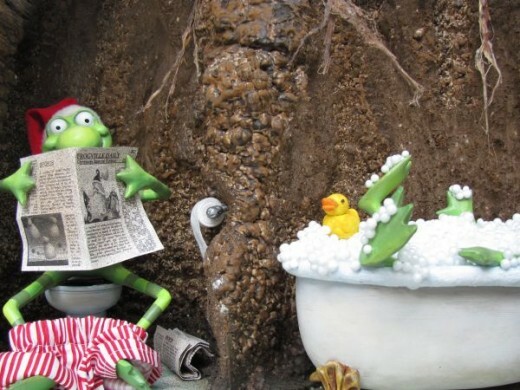 In 2012, the theme was Frogs. How's the weather down your way on Christmas Day? 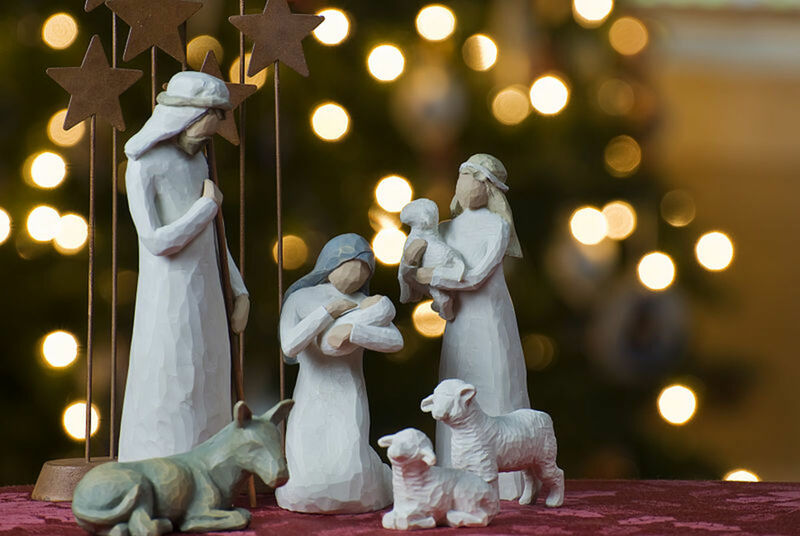 Wherever we are in the world, north, south, east or west, Christmas is a very special time. For some of us the emphasis is on religion, for others it's the family. There are also those who grieve at Christmastime. Whatever your focus may be at this time of year, I wish you the very best of happiness and, if you are saddened, I wish you solace. To all, cheers from Australia. Some winters in Southern California it is more like summer than winter. This year we are finally getting rain and snow in the mountains. 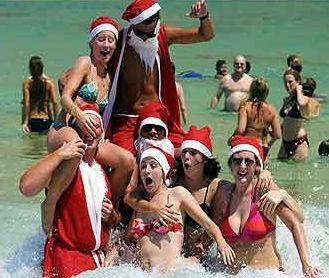 I have always liked the idea of an Australian beach Christmas. Here in California people decorate the palm trees with lights. Also, I like the Hawaiian Christmas, so it does not have to be a snowy holiday. WOW 40 celsius at Christmas, we don't even reach those temps in our summer, 32 at the most and that's exceptional. I don't think I will ever spend a Christmas in Australia, because I don't take to heat very well. I find 25C already way too much. Big difference between our countries is that Christmas in The Netherlands is mostly celebrated within the family at home. People go to church on Chrismas Eve (or not) and the next day families have their dinner. This year I moved to South Australia and love it here. This will be the first christmas here and I have to say that I need to review some traditions and adapt to new ones - although I'm not complaining. This lens pretty much explains why I'm not complaining! I've also added a lens about christmas down under. Thanks for a great lens. I am on the Gold Coast, it get sweltering here over Christmas. I love your page, shows all the good stuff and Aussie beauty well. I once departed Melbourne, Australia on December 23rd, so never spent a Christmas there -- I loved the times I spent there and the friends I made, the experiences, personal and professional -- I've been to a Grand Final at the MCG (Carlton-Collingwood, 1983), been to a Melbourne Cup (and a Caulfield Cup which was fun too) -- played beach cricket, stood at the stumps in club cricket also (didn't last long, out for a duck) -- just always had a wonderful time with the friendliest people on earth. Good on ya, Ozzies. 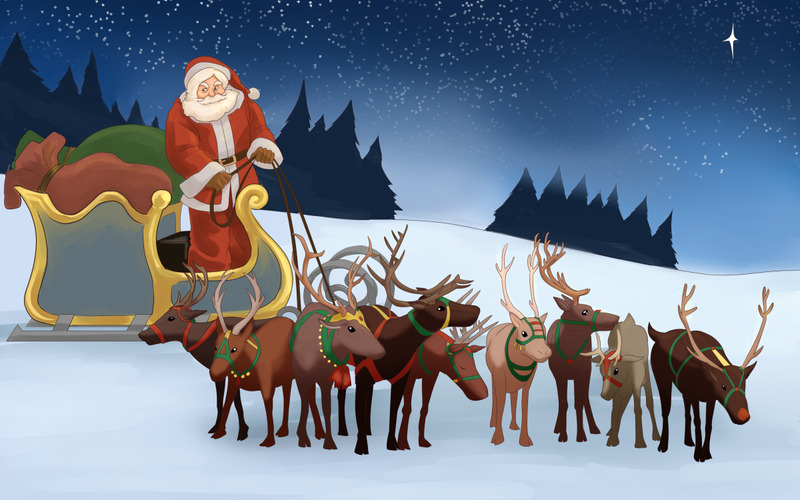 Christmas in Australia was the first lens to come to mind for the winter word quest. Nominated and blessed by Pukeko. I enjoyed reading about Christmas in Australia! Thanks for sharing some of your memories and traditions with us! Summer and Christmas...the same here in South Africa where we are right now and will be for Christmas...hope you'll have fun. Celebrating Christmas in the beach is something I would love to do. Just revisiting this excellent page. It looks like that here in the UK after 2 Decembers with snow, that we wont get any this year. Great lens - who says you need snow for a great Christmas - the beach, the BBQ and of course....loads of presents!! Here in Texas in the US, it's often cold on Christmas but rarely snows. I did get to experience a Christmas snow a couple years ago. It was wonderful. I lived in California (also USA) before that, first on a boat (no snow. ), and then in the mountains (lots of snow). That White Christmas desert sounds delish! It is kind of funny that Christmas cards virtually always show snow scenes when that's only a portion of the Christmas-celebrating world. I moved to the Phoenix area when I was twelve, and while it was winter there, it did not look like a Christmas card. A description of Arizona Christmas traditions would not be as interesting as the Australia one -- except that sometimes people like to string lights on saguaro cacti. SquidAngel blessings. Our Christmas is very special here! Thank you for doing such a great job of sharing it with the world! How lovely. I learned a bit here today. I love the snow on Christmas, but am ready for spring the day after. Merry Christmas to you down under. I hate Christmas in Australia. When I was growing up in Melbourne my mum would cook a traditional English dinner and that seemed quite normal to me. Everyone in our area did that, I'd never heard of going to the beach or having BBQ's at Christmas. After living in the Northern hemisphere for over 20 years I've gotten used to snow at Christmas. We had some lovely traditions. Now that I am back in Australia I miss the snow terribly. It just doesn't seem like Christmas at all here. Yesterday while shopping I was so hot and miserable and dreaming of sledding and strolls in the snow in the evening. I'm decorating my house today, and I'm having a very hard time getting into the Christmas spirit. Bah Humbug. But, I hope everyone else has a Happy Christmas. I miss Christmas in New Zealand. We used to have cold ham and salads for Christmas Dinner midday, and then usually a barbeque later on if anyone was still hungry. Truly enjoyed learning more about your traditions and customs. Some of it reminds me of my years living on an island along the Gulf of Mexico. Very tropical except for one magical year when a huge snowstorm came out of nowhere and created immense delight. It would be wondrous to experience Australia during the holidays. Australia sounds lovely during the holidays. Well, it sounds lovely anytime of the year. Would love to visit someday. I very much enjoyed this visit for Christmas in Australia. I've experienced a bit of both, even before coming to the Philippines. In Texas it was normally still rather warm (around 70f) on Christmas, but in Kansas it would sometimes be around 20 or less with snow. 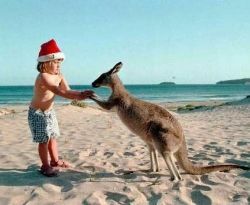 Very interesting read about Christmas in Australia. Ah, now I'm homesick! I love Christmas in Australia. At least it's warm here in the Cayman Islands. Great recipe for White Christmas! Delightful! Thanks for all the details, photos and recipes! Wonderful to have a glimpse of the holidays in your part of the world. Even though I am a kiwi, thanks for the memories. I miss those summer xmas holidays. Thanks so much for a different view! I can't imagine Christmas without snow, ice, and logs in the fireplace. As I'm sure you can't imagine Christmas without sand in your sandals! Love a hot meal at christmas even though it reaches 36-40 degrees sometimes. It's just tradition in our family. Camping is usually a trip we have over christmas and my favourite food is christmas pudding with lots of custard, aahhh delicious. Thanks for a great lens. Interesting information about Australia in the Christmas time, didn't know that until now..
Great lens and well-deserved Purple Star - somehow missed this lens in December. Excellent, I will have to spend Christmas in Australia one day! Awesome lens. You made me want to try an Australian Christmas. Thank you. 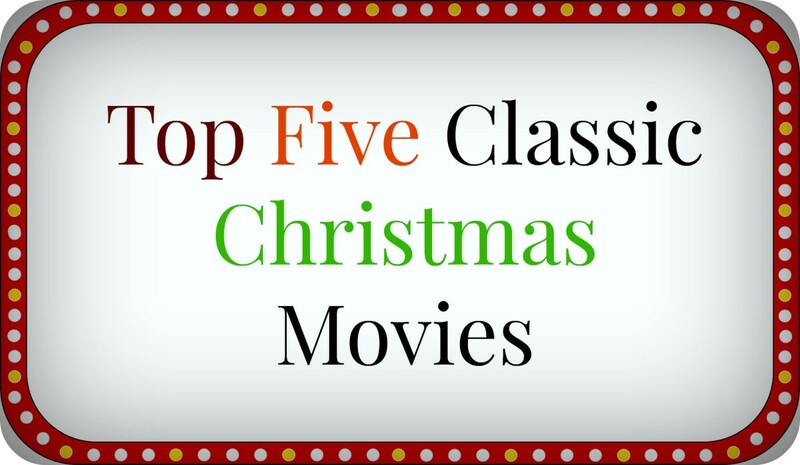 Great ideas for celebrating Christmas. Would love to visit Australia. An excellent lens. Would have been more appropriate to read it a week ago, but still, this is enjoyable any time of the year! This year we had a nice Christmas day - light jacket weather - but now a week later we are below freezing, literally! Things can change pretty fast here in Washington State, USA. Happy New Year! Beautiful!!! I certainly wouldn't mind having Christmas in Australia! Perhaps I should plan a trip for next year! As I sit here looking out the window at the snow fall, waiting on my children to wake up, I am guessing you have already had a beautiful, warm Christmas day. None the less, Merry Christmas and I sincerely hope you have a very happy New Year too!! Thankyou for sharing all of this! Merry Christmas, and tidings of joy! Excellent source for us North-East Americans. We saw a note on the Seasonal Music cable channel, and had to learn about Christmas Bells and Christmas Bushes. Christmas in Upstate New York is often frigid, and only occasionally snowy. Really heavy snow starts in January and February. 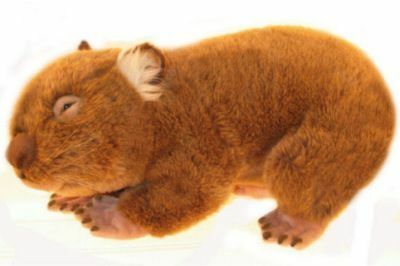 That wombat is absolutely adorable and a great present for my niece. Merry Christmas. Good information! I am applying to Australian grad schools for an MBA. I hope I get in, Australia looks beautiful! 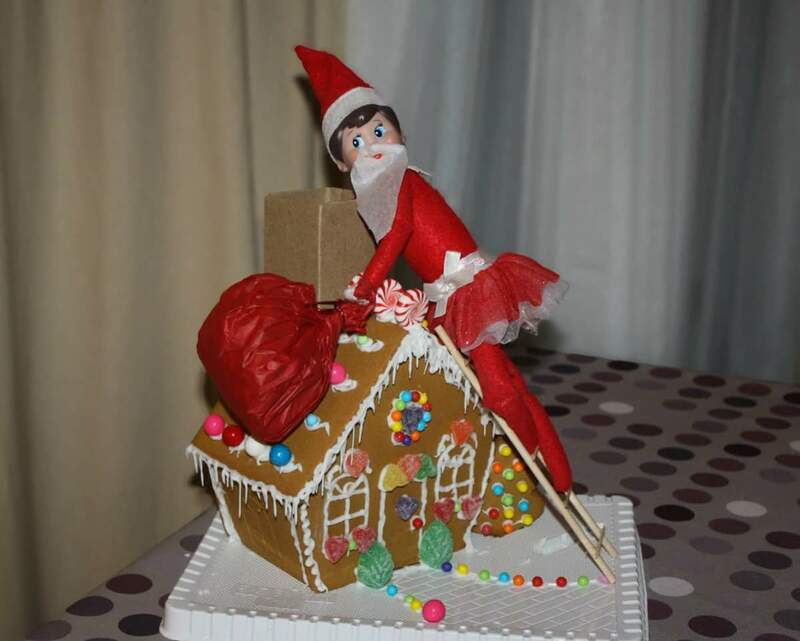 Thanks for sharing what Christmas is like in Australia. Having only lived on the Mid Atlantic Coast of the US, I have never experienced Christmas in a Summer climate. How fun it must be to be able to enjoy your day on the beach! We actually don't get to see a White Christmas every year but it's very rare that we would have a warm day for Christmas. I remember one year it reached about 70 F but that was like 20 years ago. Regardless of the weather, here's to wishing you a wonderful Christmas filled with peach and goodwill. Terrific lens! Love the wombat. I'm quite literally having prawns on the barbi for Christmas, hopefully at the beach. From one Aussie to another...Have a great Chritsmas and a happy and safe New Year. Hot lens, Christmas in Australia. Lens rolled to my Unique Christmas Tree toppers lens. I Love this lens! It is wonderful! Thank you. Mathew Fox, an ex priest who writes about Cosmic Christianity and religion, says that Australia, etc should have Christmas in June. Love the lens. Someday I hope to visit...someday. Till then Angel Blessings on this lens. Love this lens, Susanna - and especially the photos - love your humour. Lensrolled to my Chrissy one - hope you enjoy mine, too, sometime. Sounds great for just after Christmas. I'll keep my snowing mountain holiday with the family and fly on out for new years to Australia. Really cool lens. Sounds great! One of these days I hope to spend Christmas in the sun over your way! Wow some place that is not cold for Christmas this looks like the ideal vacation. Oh yes...that's exactly how it is here, Downunder. Love the photos, love the lens altogether. very cool lens! .....5*....I'm lensrolling this lens to my Xmas tree lens , there I mentioned my German Xmas, and I think it's interesting how one celebrates in different countries. 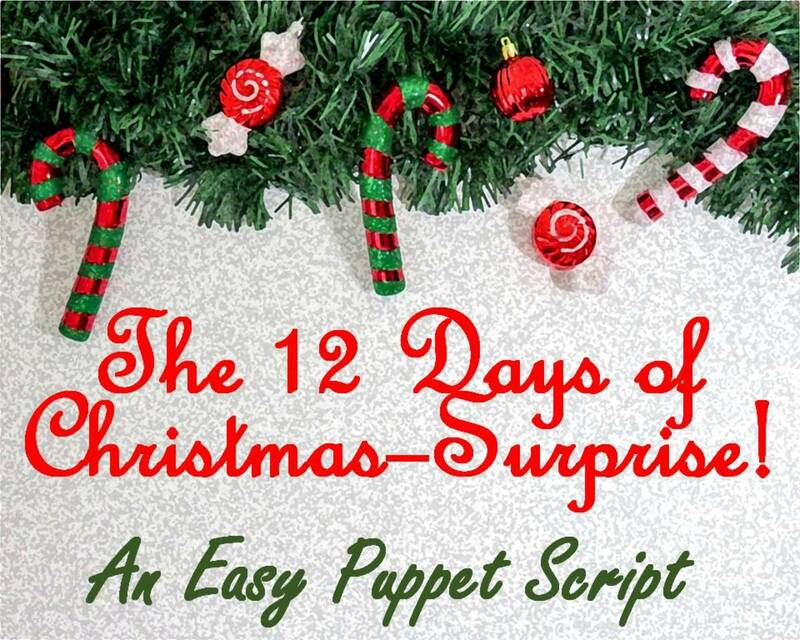 Great lens, I loved learning about Christmas in Australia...much different from my experience! What a great lens. You gave such a wonderful description, I can imagine myself out of the cold. Great lens! I'd love to spend Christmas in Australia one year, to visit Australia would be rather brilliant actually but yeah; really enjoyed the lens, and it was great to read what Christmas is like for you. What a great lens, you really captured the mood. My gran used to cook for a week before the Day so we could go to the beach with salads and lovely cold meats. We had a big extended family with lots of friends and playing cricket over at Nielson Park, out favorite place, was wonderful. Well done and I have lens rolled this to my aussie quiz. I have wanted to visit Australia all my life, and during the winter would be a great time to do that. Merry Christmas To You ~ and blessed by a Squid Angel today! This is hard for me to wrap my head around. In this hemisphere, Yule and Christmas are a few days apart. But Yule celebrates the Winter Solstice, so it has to be in the winter. Christmas falls on a certain date, therefore it will be during your summer. Actually I think I like it better that way. If I still celebrated Christmas, it would be fun to do it on the beach. But then your Summer Solstice is in December, so we would be dancing with the fairies while others are buying Christmas presents. Oh my head is beginning to ache. Time for another nap, I say. Very well done, as usual. I love the picture at the beach. Wonderful Christmas lens - both from a different culture (non US) perspective and also a glimpse of what warm weather in December means for family celebrations and traditions. 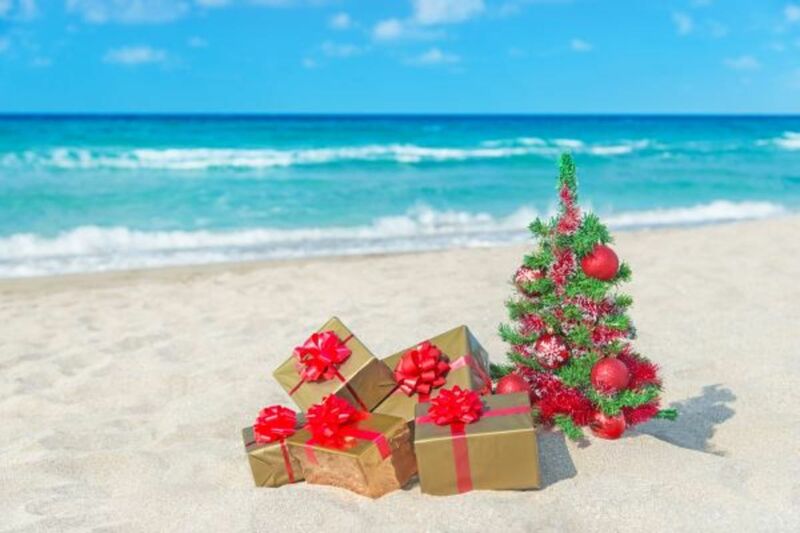 I simply must create more beach and picnic Christmas Printables and clip art. Happy Christmas! Absolutely fantastic lens. Great imagery and attention to detail. Christmas in Australia is a lot different to our northern hemisphere counterparts! 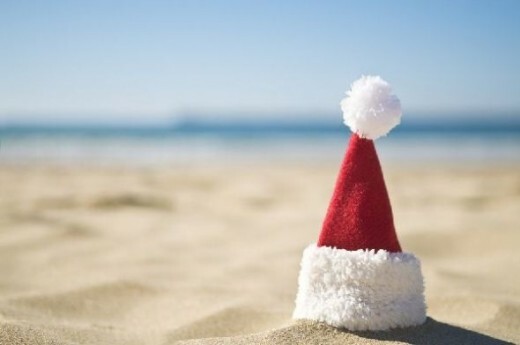 I love the pic of the christmas hat on the beach. Lens rated. Hi Susanna, love this lens! I'm an immigrant to Australia and as much as I like having Xmas in the sun (I'm in Melbourne, too, like you, so it's not always sunny either)... I just don't get the 'real' Christmas feeling down here! Love carols in the park though! This is a wonderful lens and so informative for me. I have never been to Australia but have always wanted to go. It really sounds wonderful. A colorful Christmas. I've never had an Australian Christmas. It seems a pleasant time of the year in your country because you get to spend the holidays with your families and you all can enjoy the beaches. Hoping to experience an Australian Christmas in the coming years. Great lens Susanna, similar to my A Downunder Christmas Lunch but different. I am adding a featured lenses to that one and will include this. Sounds a bit like my time in Africa, bar the beaches (landlocked country) except we had the traditional meal and did your stuff on boxing day. Yabbies, now there's a new word for me. Will be there this year God willing but have to leave for Xmas to somewhere two hours before you. Loved this lens. Blessed by an Angel. For those of us from the frozen north (or rather soggy, windy north at present), Christmas in the sun is an odd concept. I spent last year down in the sun mind you. Strange affair. Anywway, great lens - blessed. Esky, yabby, wombat...wow! It's not a Minnesota Christmas, that's for sure. I had to look up those words so not only is this a very fun lens, it's a learning lens, too! The unveiling of the windows at the Myer store is probably just like the unveiling of the windows at Macy's in New York City. It's exciting. Susanna, this is such a fun lens that you made. 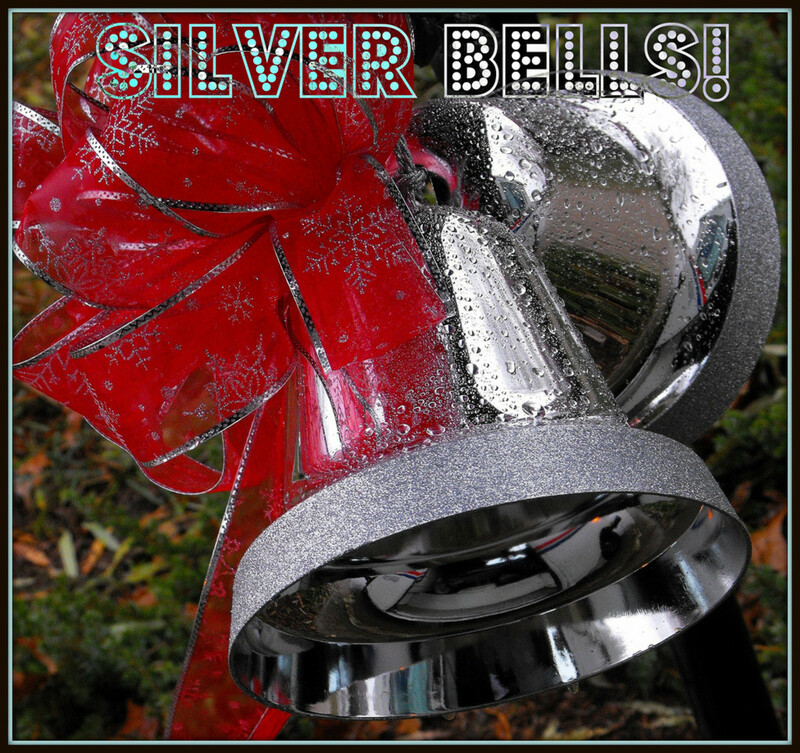 I enjoyed reading about Christmas time in Australia, and listening to Australian Jingle Bells. : ) Merry Christmas! This is a brilliant and beautiful lens! My daughter got up early for school this morning and we just had a wonderful time learning about how differently you celebrate Christmas in Australia. We both agree that a picnic on the beach would be a lovely idea! Thank you so much for sharing your traditions, recipes and culture with us. Terrific lens! Might be a bit strange to have Christmas at the beach, but I sure do love the plant life - that Christmas Bush is gorgeous :o) Nicely done. What an excellent and very personal Christmas Lens. I'm not sure how I would cope with a hot Christmas but I envy your being able to have Yabbies on the beach. Think of me slaving over a hot turkey in the litchen on Christmas morning! Beautiful lens, blessed by a Squid angel. Very enjoyable to learn about celebrating in another country. Often we have hot days for Christmas here in Southern California, but too cold to swim at the beach. Thank you for sharing these wonderful memories and photos. Hot, hot, hot in the Hunter today. Love this. I made a Christmas carol lens you might enjoy. Very enjoyable lens! Merry Christmas! It might be sweltering hot but I wouldn't want it any other way. Great lens. I'm learning a lot from you. Hope you have a great Christmas.